Having a pool as a part of your residence is a sure blessing, even if it is a small one. A pool in your home whether it’s in backyard or the front patio can turn your house space into a perfect oasis with the addition of some pool accessories. Most of us have played volleyball on the beachside but imagine having the same experience in water. Yes, you can replicate that the same experience with more excitement in your own pool. You just have to get volleyball net and of course a suitable ball and you are totally prepared to play water volleyball. Playing volleyball under the extra pressure of water requires more power from the muscles. Therefore, water volleyball can also be played to have some muscle strengthening exercise. Isn’t that amazing that a mere volleyball net can add so much purpose to your pool? Table tennis is one of the most popular indoor game all around the world. You can also make it an outdoor activity. You just have to get a floating table tennis for your pool. These tables are smaller than the standard-sized table tennis so you have to show some extra skills of the game to overcome your opponent. Slight movement of the table due to the buoyant nature of water will also add excitement to the game. You can also play water basketball by getting a floating basket ball for a moving target or have a fixed hoop at any side of the pool. The maneuvering through the water will be challenging and it will add more interest in the game. A simple addition of water slide to the poolside can surround your pool with lots of excitement. There are various options you can use depending on the need and utility of the slide in your house. If your household have children then it would be better to install a plastic or fiberglass slide. If you don’t want to have your poolside space covered permanently with the slide, then go with inflatable options. 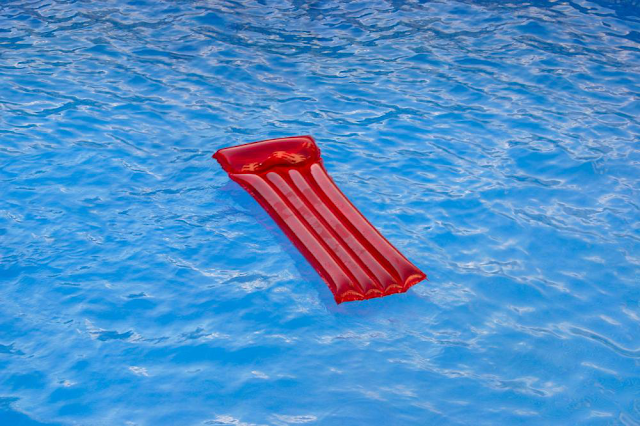 Inflate it at the time of pool activity and once you are done with the poolside fun, deflate it and store it away. Both type of slides come in different shapes and sizes, most common are straight and spiral-shaped slides. Some expensive options also have the in-built water sprinklers of their own. There is no doubt that a water slide can transform your pool into a water park. If you are not interested in physical activities around the pool but still want to add something new to your pool experience then get pool floats and lounges. You can lie down on them to have a sunbath or to go in the meditation over the water. If you think that your swimming pool routine has become mundane, then add some flare with the discussed accessories and related poolside activities.